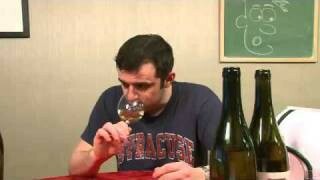 Wine Library TV | Barbaresco, the truth behind these Italian wines. EP 85 Barbaresco, the truth behind these Italian wines. 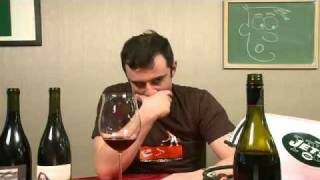 Watch today as Gary responds to his viewers and tastes and reviews four Barbarescos from Italy. Arguably, not as well known as other Italian wines it’s still one of Gary’s favorites. More viewer questions answered and a new QOD. On the eve of episode 1000 it is epic that I am watching you answer this question about the future of WLTV, you are in fact changing the wine world my friend, and I don’t know about them but I love it. I like barbaresco and barolos but they are definitely too dry and acidic without food and so I have a hard time choosing which ones will be good in the future, correct me if I’m wrong but even the lesser ones should be cellared for a few years beofre drinking. Sam Zen….why is katie a disgrace to broadcasting?…I am not really a fan of her but am curious as to why she is a disgrace? I’ve been enjoying the shows. Suggestion for showing color of the wines….why don’t you mount a second camera on the ceiling looking down and put white paper on the desk so that you can see the edges?? You would just need to cut the feed from the main camera and jump to the ceiling camera when you want to show the color. Keep up the enjoyable videos. Sharp dressed man today Gary, and you did it again! Tremendous EP (96), but I have to nick a few points off because I’m feelin’ the loss of no QOTD. Keep up the outstanding effort in adding detail to your descriptions, because I really think it brings the viewers through the lens to your table! I was completely pumped with your review of the Ugo (we go Ugo?) and the rustic put-your-face-in-the-tar-and-mud Cantina. I have to admit I don’t drink enough Barbaresco, but your words on how these wines are built differently (e.g., lighter color, red/orange tinge on the edges, more clear than opaque) and how they have components that are different and romantic (e.g., rose petals, cedar, tobacco leaf, leather) puts them in their own league of being alluring and educational. Not busting your chops and no foul, but I agree with Tony’s comment on not really following/using your scoring system – a question I raised back in episode late-60-something. Gary, on a technical front, I have been meaning to mention for the last few episodes that the zero-in close-ups on the bottles when you are first introducing them are so out of focus that I can hardly make out anything! Please, please see if this can be improved by having your camera person practice the zoom-in or something. I know it can be done because this was not always a problem. I strongly prefer to have the zoom-ins on the bottles during each episode because it helps me associate producer with the label design, and then remember it when I am shopping. In my case it’s even more helpful for the Italian wines because many of the wines are hard to pronounce, much less remember. Here is another request for future Italian tasting of a less expensive alternative to Barolos, Brunellos and Barbarescos: Please do an episode on Barbera (ref: Rich S, comment 19). I’m in the same boat as MarcT (Comment 35). Three days ago I selected an avatar and submitted it to Gravatar.com. Apparently it is still pending, waiting to be rated/approved. I don’t really understand how others got theirs so quickly, and I’m wondering if others are experiencing the same delay. Thank you. Great episode. I have to say that trying Barolos and Barbarescos and other Piedmont wines gave me first rush in wine drinking and got me really interested in trying ‘real wine’ in a big way. At home my father typically bought $4/gal jug wines. Even trying the lesser wines – the dolcettos, nebbiolo’s and barbera’s will provide you with a great deal of pleasure (at less cost than the barolos). As it turns out, in my trip to WL last week I bought a bottle of the Pertinace Barbaresco at the recommendation of the sales person who helped me out – I will have to seek a good meal to try it out and will probably buy a few more bottles. Tony – fantastic pictures, they really make you want to pick a grape and eat it. TimF (comment 46) – I have several books on Italian wines, some old and one new. The older ones will be outdated in some ways, but I took a quick look at them and some of the information is still relevant. Don’t know if they are all still available. 1.Italian Wine,by Victor Hazan (husband of a famous Italian chef, Marcela Hazan), pub. 1982, A. Knopf; 2. Vino, Burton Anderson, pub. 1980, Atlantic-Little, Brown; 3. The Wines of Italy A Consumer’s Guide, Sheldon Wasserman, pub. 1976, Stein and Day; 4. 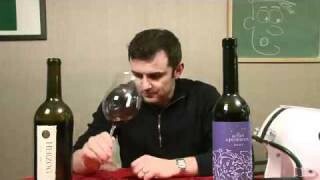 Vino Italiano, The Regional Wines of Italy, Joseph Bastianich and David Lynch, pub. 2005, Potter (JB is the son of Lidia Bastianich, host of Lidia’s Italian Kitchen on PBS and owner of Felidia’s restaurant in NYC) this is a very current book and quite extensive – also includes recipes from Mom and Mario Batali; 5. Italian Wines 2006 – this is more like a trade guide on all Italian wines, published annually and provides current ratings on every wine in Italy, by region and producer, with commentaries to go with them. If you are a wine nut, this book is for you. I saw it at Barnes & Noble. Great episode Gary, but I have one comment that I hope will not offend you. You have such incredible knowledge about wines and your presentation is bursting with honesty and enthusiasm…however…your pronunciations of the various producers, varietals, etc., leave a lot to be desired. It would add a nice finishing touch if you could deliver a “delicious” and correct pronunciation to complement the wine you are reviewing. Again, no offense intended. The languages attached to the various wines have their own romantic aspects and can be as enjoyable to the ear as the wine is to the palate. I bought a case of the 1998 Pertinace about 8 months ago and have since introduced it to a number of friends. Gary is right on target with this one. My practice is to save wines like this for those I know appreciate the wine experience, and of the 4 bottles I have opened the returns have been unanimously positive. Only one of the 6 people I introduced to this wine had ever tried a Barbaresco, and had a positive predisposition. I would agree that it takes an open-minded person to get past the odd color of the Pertinace, and the virtual absence of fruit nose and taste. However, there is no question once the smooth, somewhat dry mouth and aftertaste blends with the strong flavors of a good steak or a saucey veil or pork dish. The key to enjoying this wine, as I believe with most BIG reds, is to have them with excellent food. This is doubly so for a true Barbaresco. i agree with several others that scoring should not be based on price. When wines are tasted blindly, price is not revealed. Your scoring system is unique. Your 85 rated wines are not consider good, but in the WS these would be classified as good to very good. Thank you the information, and the record keeping. I’d love a copy of your spreadsheet – in fact, I bet many viewers would. Maybe Gary could post it on the site? 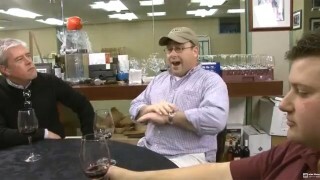 Enjoying the episodes, especially the call to try as many different wine types as possible. The disadvantage for newer wine drinkers its it hard to really get a hold on that characteristics of a certain grape / region… and develop the ‘wine memory’… good fun though. Like the smaller improvements that have been made to bring back some of good functions from the older design. 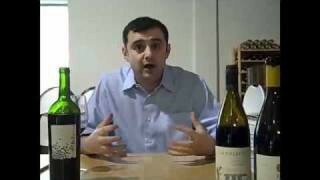 Finally, a suggestion… based on trying different wines… how about trying wines from exotic / unusual places on earth. China for example is developing in wine growing… Ukrain wines imported into Russia are sometimes rebranded as Russian wines… any wines from Iceland or Alaska… or Brazil or Hawaii. This is my first time to comment, I am a “lurker” I guess. Gary’s formula for love (based on comments on the Cantina Vignaioli Elvio Pertinace Barbaresco Castellizzano): “insects” + “burnt wood” + “concrete” + “sticking your face in mud” = “romantic” apparently in the GV household! Oh, yeah . . . LAST! Ya…I’m posting late. 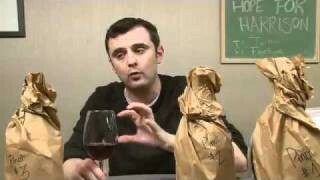 Gary, I loved what you said about breaking the mold of wine being stuffy and for a certain type of people. Everyone should enjoy wine! The sad thing is that the wineries (at least the high-end ones) from all over the world are the people at fault for giving wine that rich, stuffy look. The prices for 1st growth Bordeaux upon release is a slap in the face to a regular guy like myself. They’re obviously saying “We only want the rich to drink our wine.” Which is sad. California cults are the same. I love the fact that you’re tasting wine that human beings can afford. See you later. Oh, by the way, “Go Bears” should be your sign off one day. That muddy taste is a fault in the winemaking process created by contamination by Brettanomyces. I have tasted it once in an Alice White wine. 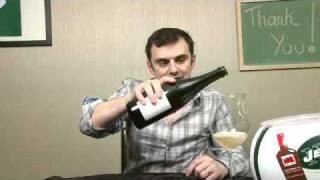 Some lambic beers that use wild yeast have this taste. In a good winery it can be avoided by regularly cleaning the equipment. I’m gonna order some Barbaresco…just because. I hope I’m here for episode 1000! I’ll be here to the end Gary! 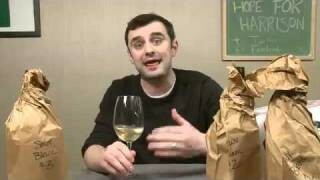 Another episode that I’ll watch again when I’m focusing more on Italian wines! Wish I could have been here when the sign offs were created! Iâ? ?m having my first barbaresco as I rewatch this episode. Itâ? ?s a 2004 Rivata Barbaresco. Iâ? ?m really loving it. At $17 itâ? ?s at the upper limit of my price range. Iâ? ?ll see how it holds up over night. Chances are Iâ? ?ll by another one and maybe try some other barbarescos. That's awesome, jsut catching up on a few episodes I've missed and I hear the question from the viewer “where will WLTV be in a couple of years?”. Number 800 tomorrow. Super work mate.